Modernized management, advanced equipment and highly trained workers guarantee that YTO Group Corporation constantly provides its customers with satisfactory products and services. In order to increase its powerful manufacturing capacity, YTO consistently introduces advanced equipment from countries such as Germany and Switzerland. Now it has more than one hundred automated production lines, processing centers and assembly lines, which helps it to complete such production processes as casting, forging, mechanical processing, heat treatment, assemblage, etc. In addition, YTO has its own combined professional machine tools and manufacturing bases for various tools and dies. 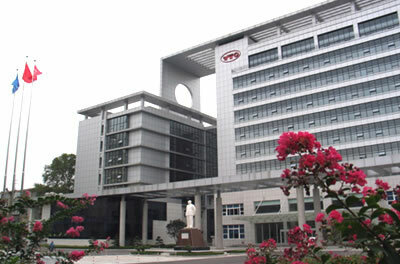 YTO has a R&D team of more than 2,000 professionals, and especially, since the establishment of the Chinese National Tractor Research Institute in 1994, its R&D capability has been further strengthened. Now YTO is able to come up with new technologies, new materials, new techniques, and continually develops new products to suit the demands of the market. YTO Group implements a comprehensive quality management system and strictly follows the ISO 9000 standards. All its products such as tractors, road rollers and diesel engines have passed many certifications. In addition to high quality products, YTO is also committed to providing the customers with high quality services, such as after-sale services, supply of spare parts, etc. Its widespread service networks and spare parts centers throughout the world, coupled with its service members who are knowledgeable and familiar with electronic and hydraulic technologies, enables YTO to offer customers consummate services.